Blugreen Solutions provides product representation and marketing services for manufacturers in the Green Industry up the Eastern Coast of the United States and across Canada. Our representatives have diverse backgrounds, years of experience and a commitment to providing solutions and delivering results. 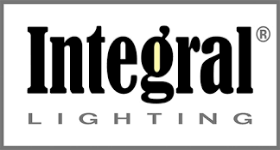 Established in 2005 our organization has compiled an extensive list of high profile irrigation, plumbing and lighting clients. At Blugreen Solutions we pride ourselves in our dedication to serving our customers. Weathermatic SmartLink System saves water, time and money!